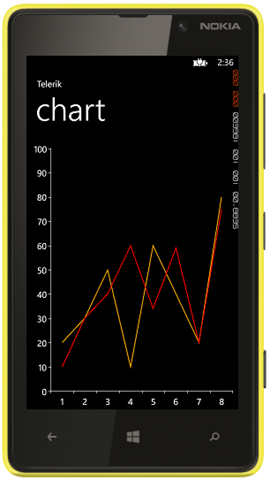 In this post we will take a look on working RadCharts in Windows Phone 8 Applications. I shall follow simplistic step by step approach for better learning of yours. At the end of this post we will complete creating a chart application as below. Start with creating a Windows Phone 8 Application. 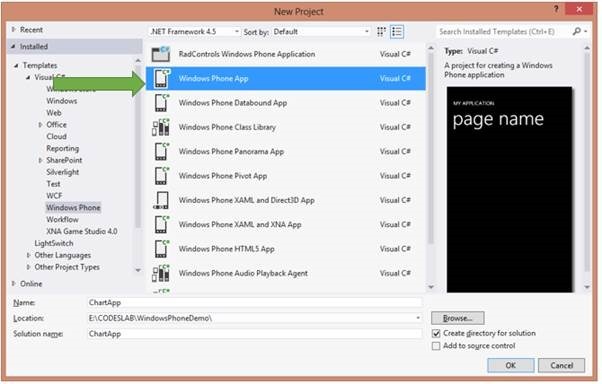 To create Windows Phone Application choose Windows Phone App project template from Windows Phone tab. Choose Windows Phone 0S 8.0 as Target Windows Phone OS version. Next we need to add following references in the project to work with RadChart. To add references right click on the project and from context menu select Add Reference. 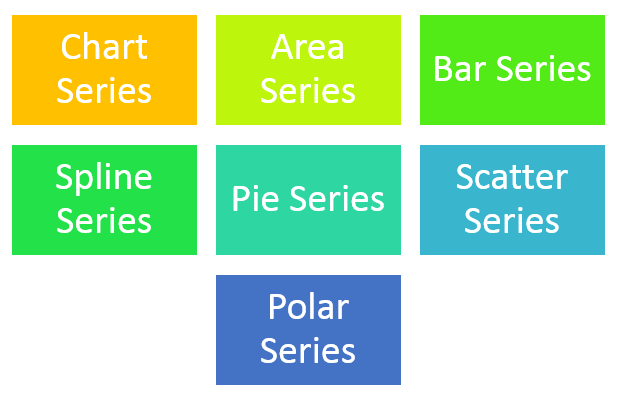 After adding reference we are all set to work with RadCharts in Windows 8 project. 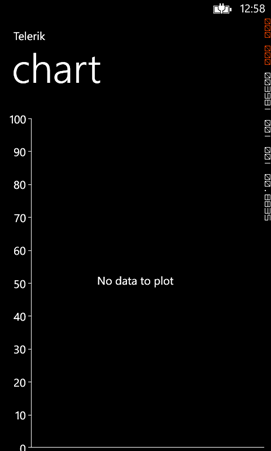 To work with chart now we need to add required references on XAML. After adding namespace we can put Chart on Xaml. A Chart can be created with following mark-up. 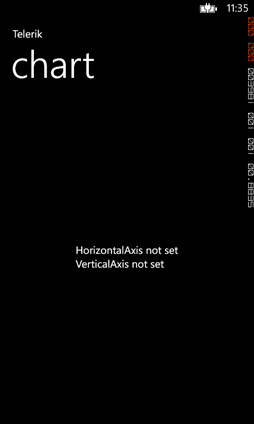 At this point if we go ahead and run application, we will find message that HorizontalAxis not set VerticalAxis not set. We are using Linear Axis for Vertical Axis and Cateogrical Axis as Horizontle axis in this example. 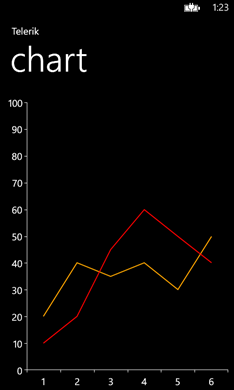 At on running application we will get chart with two axis. However there will be no data rendered on chart. We are getting message that No Series added. We can add Data Point as following in the chart. We are adding data point in XAML here. In real time scenario we will have to fetch data from services and bind data point to chart at runtime. We can achieve that using data binding. 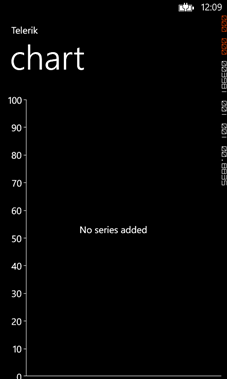 In this way we can work with Charts in Windows Phone 8. I hope you find this post useful. Thanks for reading. Great tutorial, Dhananjay. Thank you very much!